Kendell Summer, lead guitarist for Polly Urethane and the Strippers, has always been interested in the unexplained. So when she sets off on a paranormal research romp with Myles, a former classmate, to explore his skills in psychometry, she’s ready for a little adventure. But she gets more than she bargained for when her Lhasa apso, Cheesecake, is dognapped. Kendell will do whatever it takes to get her dog back. 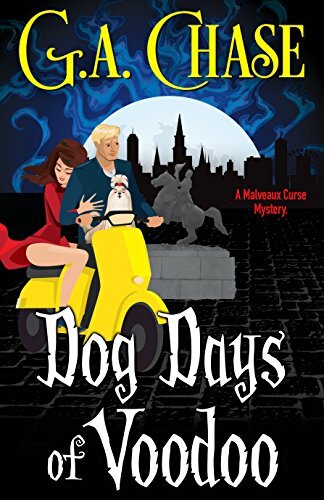 While rescuing the pup, Kendell and Myles learn that the touristy glitz of New Orleans’ voodoo shops hides a dark history few understand—a truth that some in the city plan to use for their own gain.